The EIPL Neptune is a compact, portable dehumidifier designed to provide humidity control for a wide range of applications including water damage restoration and dehumidification of permanent commercial, industrial, and residential spaces. Anti-Vibration Rubber feet, Collapsible Handle for easy transport, High efficiency rotary compressor, Extra long power cord (25’), Temperature Sensitive Defrost control for optimum performance, EIPL’s unique “Hot Gas” defrosting feature which automatically melts away frost buildup providing effective operation at low ambient temperatures, Rugged, epoxy powder-coated steel chassis and housing, Simplicity of installation and operation with a standard 115V plug. 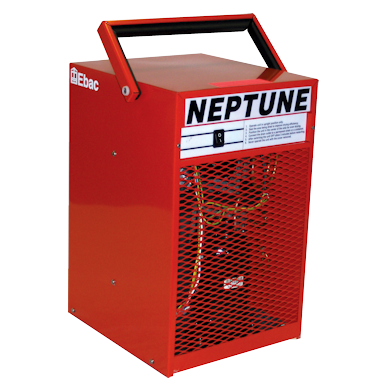 The EIPL Neptune Dehumidifier is a rugged, yet portable piece of equipment, that will operate under extreme conditions and pull large amounts of moisture from the air. Whenever there is a need for fast, dependable, energy-efficient drying, EIPL can provide the answer. The high efficiency Rotary compressor ensures the maximum extraction with the lowest running costs.